Once every few years a project comes along that raises the game. This Ghibli Spyder was one of those. 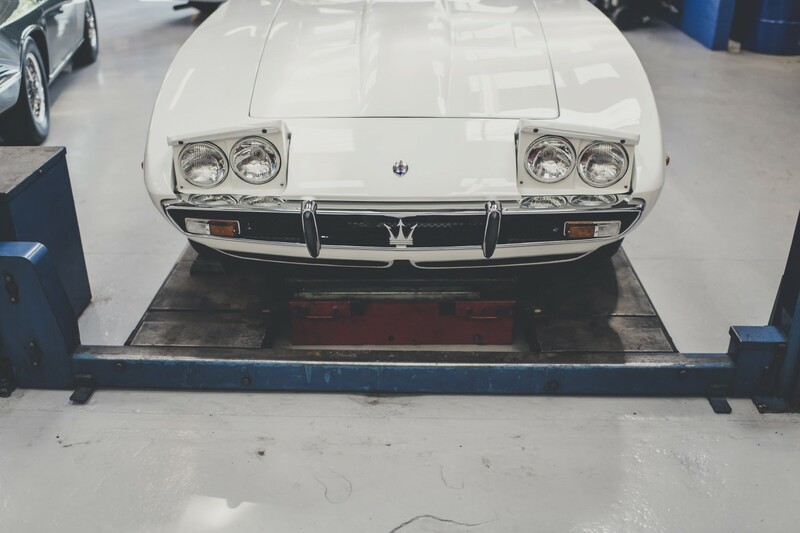 Having known the car for decades (and in fact McGrath Maserati carried out a partial restoration of the car for a previous owner way back in 1989), we were delighted to be commissioned by the current owner to carry out a total restoration to Concours condition. 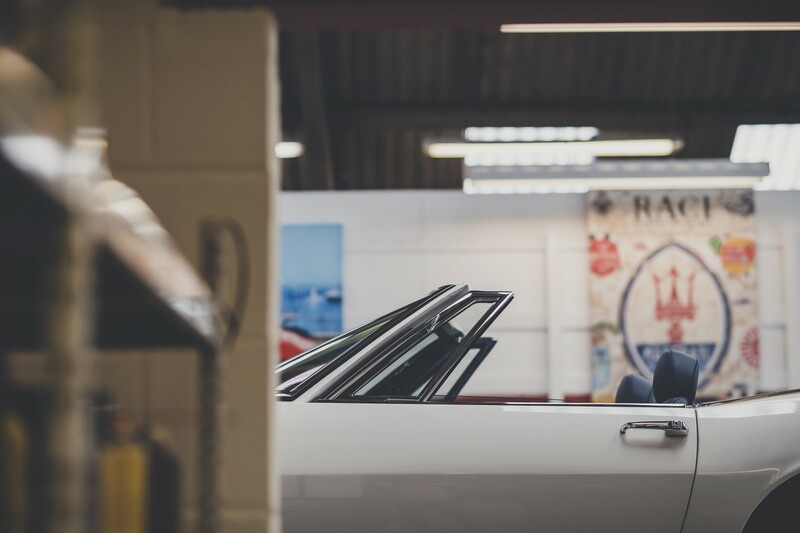 Imported back to the UK from Australia, where it had seen probably more use than at any time in its past, the Spyder was first stripped to a bare shell and then sent to one of our body partners, Prestige Restorations. Prestige removed the blue exterior paint and then sandblasted the shell. This revealed a weakened structure for the sills and floors. 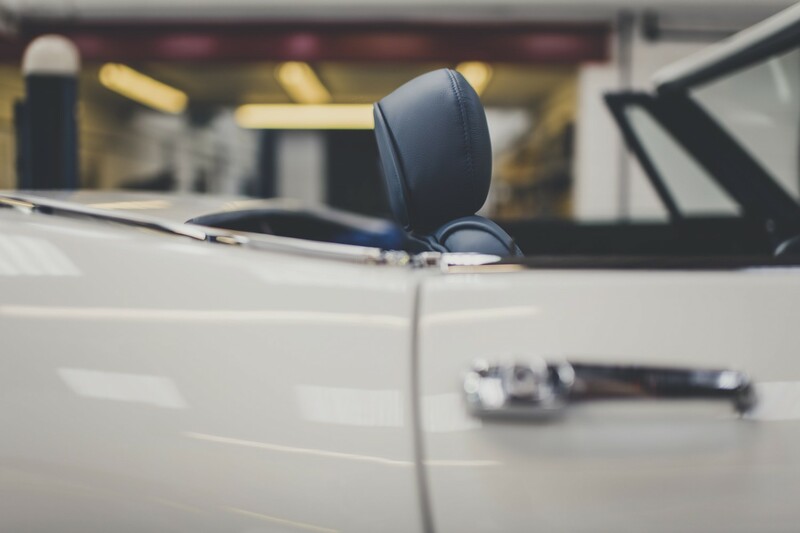 As an original Ghibli Spyder, this car features the double-skinned floorpans with an inner network of steel tube, which Ghia used to increase the torsional rigidity as this design was originally for a Coupe. This structure had extensive corrosion in it and the car was very ‘flexible’ as a result. With all of the floors and sills removed, the chassis was jigged to ensure that it remained straight throughout the restoration work. Correcting some poor bodylines that the car had gained during an Australian paintjob was also a major job. The flow of the bodylines down the side of the car and how they intersect with the wheelarches is crucial on the Ghibli. The nose of the car had also suffered over the years and the front valance with its distinctive air scoops is all new. 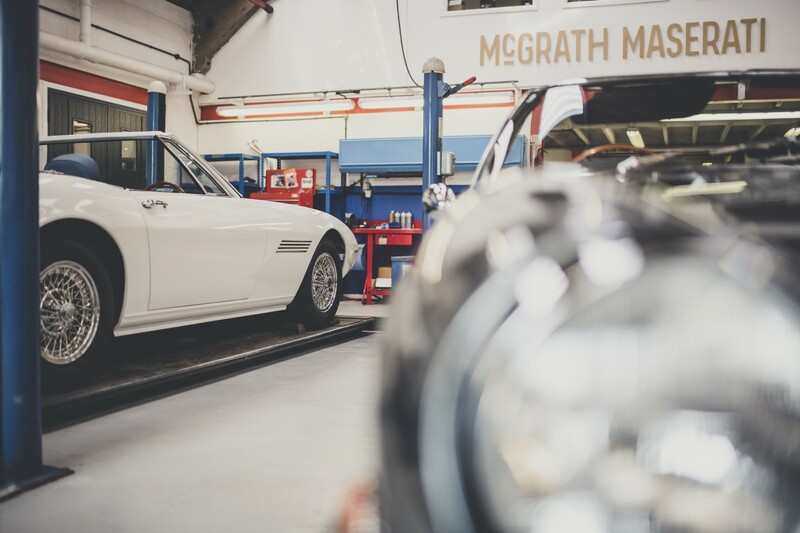 Once initial repairs had been carried out, the car returned to McGrath for a pre-fit of all of the trim and bumpers. Much of the trim had to be repaired and new brass sections for the tonneau surround were made. While the body returned to Prestige for paint, the trim was sent to our chrome for triple plating. 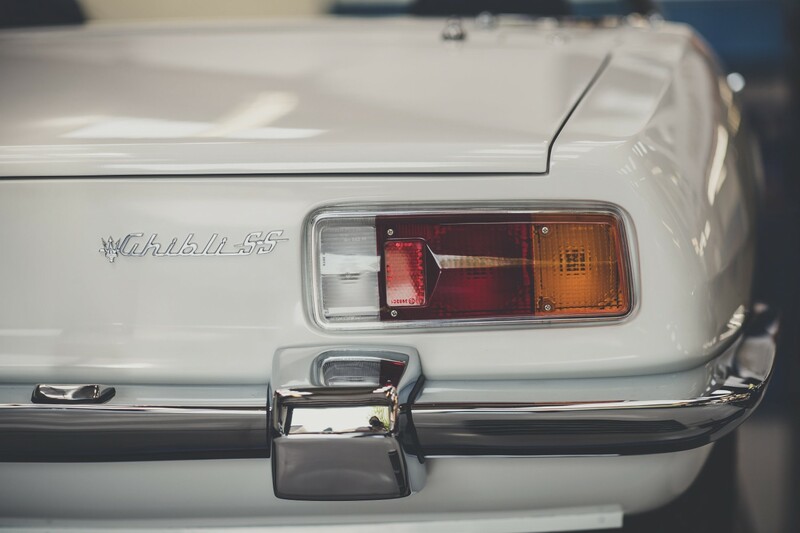 For many years the car was various shades of blue but having checked with Maserati Classiche, we knew the original colour was white – Bianco Polo Park. This colour was mixed specially for the car. 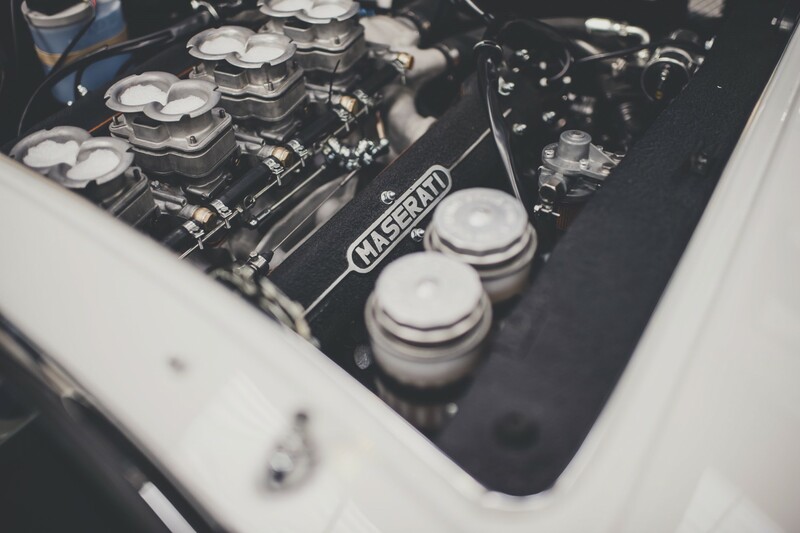 Once back from Prestige, McGraths built up the bulkhead soundproofing layers before thoroughly undersealing the car and engine bay with the correct factory-style thick underseal. Mechanically a total restoration was carried out including engine, gearbox and axle rebuilds. All suspension and brakes were thoroughly overhauled and parts powder coated. Original paint finishes and surfaces were respected throughout; even the brake pipes were made in steel to replicate the original style. 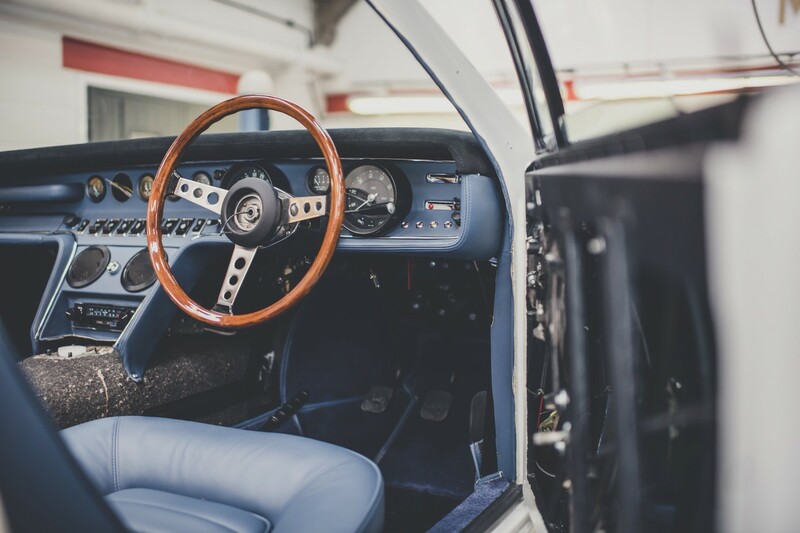 When it came to the interior, our trimmer smiled wryly, for the cream leather and blue carpets which it had on arrival were his handiwork from 1989. It was a good job, still presentable but in 1989 nobody was concerned with originality and the cream colour was a previous owner’s choice. Maserati Classiche again confirmed that the original was blue, actually Connolly PAC1545 blue. 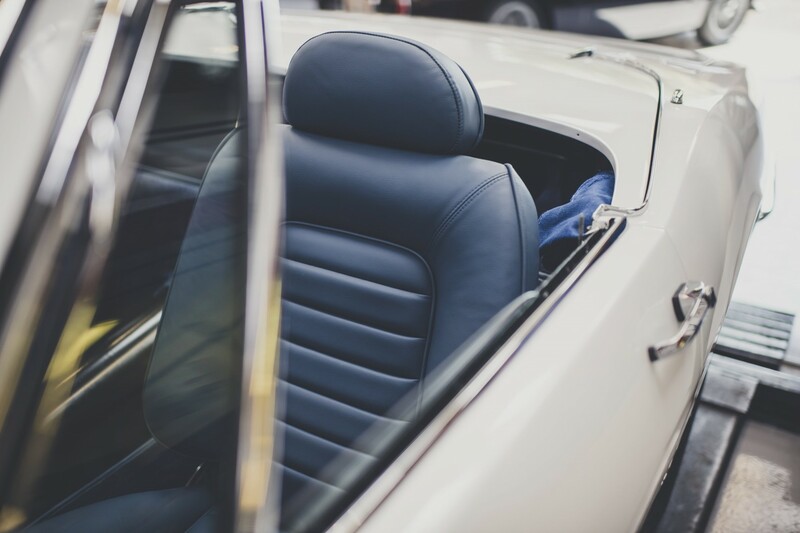 For many years, this particular style of leather has been unavailable and so we were very pleased to discover that Connolly have now re-introduced their Printed And Crushed range for Maserati and so we were able to re-trim the car in the exact original material. A new black hood and alcantara dash top complete the look together with a re-lacquered original wood rim steering wheel. We even obtained an original ‘Autovox for Maserati’ radio cassette player. 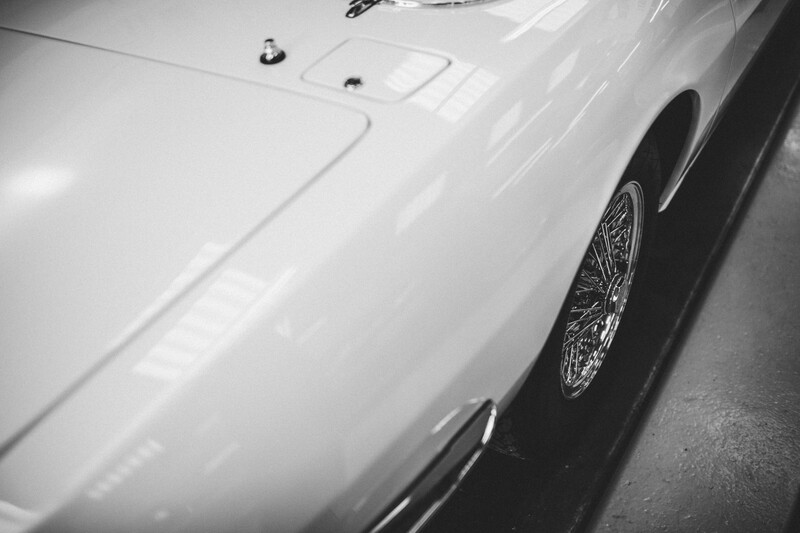 Fitted with the optional Borrani bolt-on wire wheels, this stunning car is now complete. 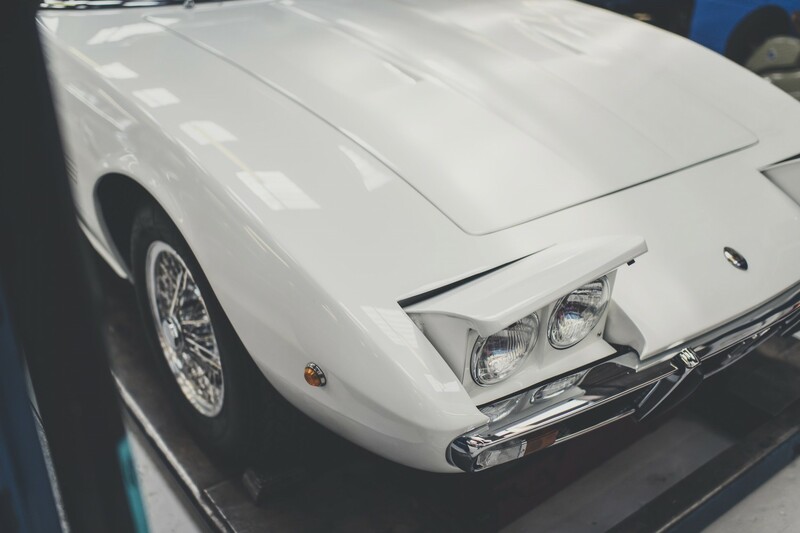 This is a blue-chip restoration of one of the rarest and most desirable Maserati production cars. It will be welcome at all the most prestigious Concours events in the world as well as provide the ultimate in continental touring.